Dr Will Bateman is a senior lecturer at the ANU College of Law. He previously worked as associate to the hon Justice Stephen Gageler AC of the High Court of Australia, the hon Justice Steven Rares of the Federal Court of Australia and as a solicitor at Herbert Smith Freehills (in litigation and banking). Dr Bateman researches, writes and presents on legal issues relating to technology, public administration and public finance. He is currently collaborating with computer scientists developing ethical and lawful AI systems, and working with a variety of government agencies on the legal implications of automation and AI in the public sector. He also writes on constitutional and administrative law in Australia and the UK. He holds a PhD and a LLM(hons) from the University of Cambridge, and graduated BA/LLB(hons) from the ANU. His scholarship has been published by Oxford University Press, the Sydney Law Review, the Federal Law Review, the Melbourne University Law Review and the Public Law Review. 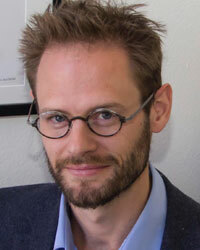 Will is a member of the Centre of International and Public Law. He is also a legal practitioner, admitted to practice in NSW and Federal Courts. Will researches and writes on legal dimensions of technology, public finance and public administration. Will is working on a broad-range of interdisciplinary projects with international and domestic scholars. On law and technology, he is collaborating with computer scientists developing ethical and lawful AI systems. He is also working with a variety of government agencies on the legal implications of automation and AI in the public sector. On law and public finance, he is working with economists and political theorists on the legal regulation of central banking, sovereign borrowing and public expenditure. 'Comparative Constitutional Law' in Stone and Saunders (eds), The Oxford Handbook of the Australian Constitution (2018, Oxford University Press) (with S Gageler). 'The Normative Structure of Australian Administrative Law' (2017) 45 Federal Law Review 153 (with L McDonald). 'Federal Jurisdiction in State Courts: an Elaboration and Critique’ (2012) 23 Public Law Review 220. 'Legislating against Constitutional Invalidity: Constitutional Deeming Legislation' (2012) 34 Sydney Law Review 478. 'Chapter III of the Constitution, Federal Jurisdiction and Dialogue Charters of Human Rights' (2012) 35 Melbourne University Law Review 1 (with J Stellios). 'The Constitution and the Substantive Grounds of Judicial Review: the Full Scope of the Entrenched Minimum Provision of Judicial Review' (2011) 39 Federal Law Review 432. 'Procedural Due Process Under The Australian Constitution' (2009) 31 Sydney Law Review 411. ‘Automatic Public Law’, Centre for International and Public Law, Australian National University, November 2018. ‘Public Sector Automation’, Centre for International and Public Law, Australian National University, August 2018. 'Legal Regulation of Central Banking' commenting on Lastra, 'Populism and Central Bank Independence', Centre for Arts, Social Science and the Humanities, University of Cambridge, March 2018. ‘Automatic Law’, Faculty of Law, University of Cambridge, March 2017. 'Grounds of Review, Statutory Interpretation and Proportionality: Diversity and Unity in the English and Australian Law of Judicial Review', Cambridge Public Law Conference, University of Cambridge, September 2016. 'Parliamentary Control of Public Expenditure', Australian Association of Constitutional Law, Australian National University, August 2016. ‘Parliamentary Control of Public Money: The Curious Case of Sovereign Borrowing', Democracy and Debt Workshop, University of Cambridge, 2015. ‘Australia’s Constitutional and Regulatory Environment’, Australian Institute of Company Directors, Sydney, 2013. ‘International Arbitration and Constitutional Law’, Australian Association of Constitutional Law, Federal Court of Australia, Sydney, 2012. ‘Constitutional Law and Government Contracting’, Australian Association of Constitutional Law, Australian National University, Canberra, 2012. Will is keen to supervise in his areas of research interest.